The Home Office’s ‘Annual Tackling Drug Supply Awards 2007’ were distributed to a number of hard working and relatively successful police forces recently. These units had managed to break up a few criminal drug gangs and seize millions of pounds (sterling) of illegal drugs, which in the world of prohibition is a measure of success. 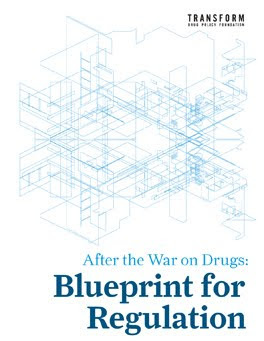 ‘Defenders of the drug war status quo frequently use increases in seizures as evidence of a successful enforcement policy or, conversely, that a decrease in seizures is evidence that drugs markets are reducing. Neither represents a correct interpretation of the statistics, and in reality drug seizure data are of little use for policy makers – aside from achieving arbitrary and equally un-useful seizure targets. Drug seizures primarily reflect activity of the enforcement authorities and do not provide any useful indication of the scale of actual drug markets, as they can rise or fall entirely independently from drug availability or usage levels. A single large drug-bust can dramatically shape annual year on year stats. It is entirely inappropriate for seizures statistics to be used (as they are in the UK national strategy) as a measure of drug availability, as there is quite simply no correlation whatsoever. The awards ceremony did uncover one real cause for celebration. 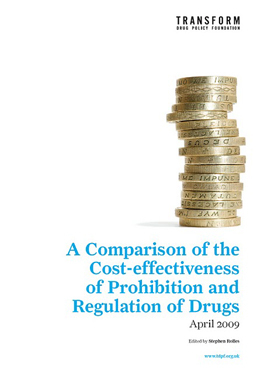 It is important and encouraging to note that both Vernon Coaker (Home Office Minister) and Chief Constable Tim Hollis (Association of Chief Police Officers Chair of Drugs) emphasised the necessity of reducing harm and providing treatment. This is a very welcome step on the path towards a rational evidence-based drugs policy. As the Birt report pointed out so damningly even if the Police and customs do catch more then it wont actually help. Its likely to drive up prices and increase crime. Indeed Bob. One of the things that the home office has been trumpeting of late is that a fall in aquisitive crime has occured since the DIP program (treatment referals / instead of prison for low level drug offenders). Infact its seems likely that significant factor in the crime drop is not the new schemes but the fact that drug prices have dropped. That of course is a positive side effect of the failure of supply side interventions, the home office is so busy celebrating. It'd be great if the home office could clock this effect - and follow it through to its logical conclusion - that supply side interventions are counterproductive - when they succeed things actually get worse. You're right, it does appear that prices have fallen, but also quality seems to have fallen too. From the lab results I read a while ago cocaine and crack users though able to buy for less, are actually getting about the same for their money, if that makes sense.